Your dog or cat will love to be pampered by our staff at Jones Animal Hospital while you are away. Your pet will be safe and sound under the watchful eye of our professional kennel staff and veterinarians and will be treated with love, individual care and lots of attention. Your pet will receive outdoor time and walks. Our kennel is both air conditioned and heated, as appropriate, for your pet's comfort. Boarding is available for both current and new clients. All pets staying in our kennel must be current on Rabies, Distemper, and Bordetella vaccines. We have separate wards for dogs and cats. Our boarding facility for dogs feature large dog runs, and small dog areas. Our separate kitty ward features comfortable and quiet condominiums. 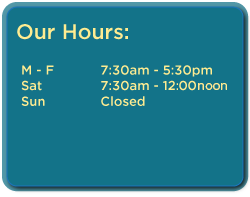 Our boarding facility drop off and pick-up hours are the same as our regular hospital hours. For boarding over long weekends and holidays please make your reservations as early as possible as our space fills up quickly. For more information about our boarding policies or to schedule an appointment for your pet, please give us a call.